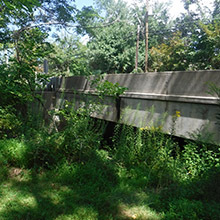 KMA Consulting Engineers, Inc. (KMA) has been retained by Hardesty & Hanover to perform environmental studies and to prepare environmental permit application packages for Final Design phase activities for proposed improvements of the NJ Route 31 Bridge over Peters Creek, East Amwell Township, Hunterdon County, NJ. Hardesty & Hanover is the prime consultant for the design, environmental, and other activities that will be performed for the Final Design (FD) phase work under a task order contract with the NJDOT for Bridge deck/Superstructure and Superstructure/Substructure Repairs. 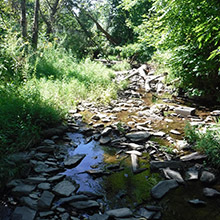 The following regulatory permits are required for this project: NJDEP Freshwater Wetlands General Permit 10B (GP-10B), and Flood Hazard Area Control Act Permits-by-Rule Determination. KMA delineated wetlands, attended a pre-application conference, completed environmental plans, and assisted in preparing a construction environmental reevaluation.